ST. GEORGE — As bicycling becomes more popular as a means of transportation, city officials are considering implementing a bike-sharing system in St. George. 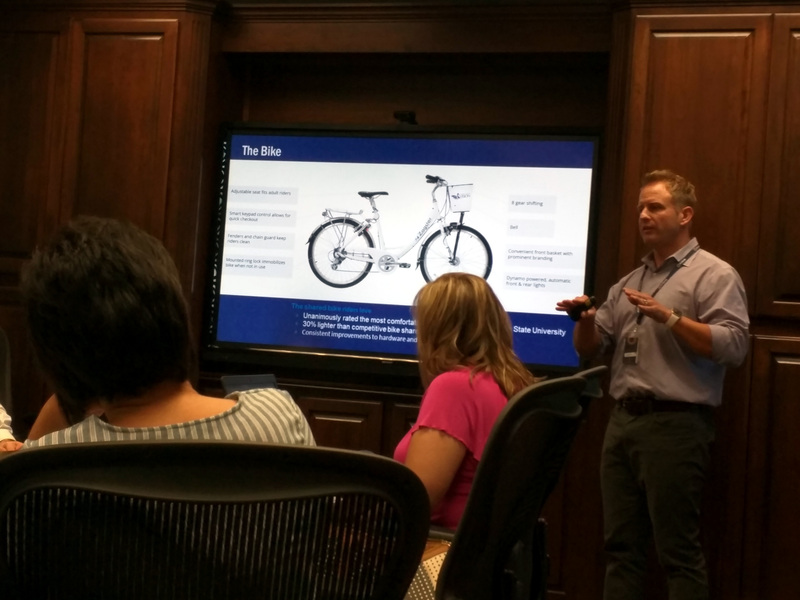 The bike-share concept was presented to the St. George City Council by Assistant to the City Manager Marc Mortensen in a public meeting Thursday evening. Bike sharing typically includes several stations equipped with five to 10 bicycles set up throughout the city. The bikes are then rented in varying time increments and can be dropped off at any other station. A bike-share program in St. George would initially help support the tourism industry with potential to grow into something larger as students and young people opt for biking. “You’ve got the younger sect that, really, they don’t want to drive … and they’d much rather bike somewhere,” Pam Palermo, president and CEO of the St. George Area Chamber of Commerce, said. 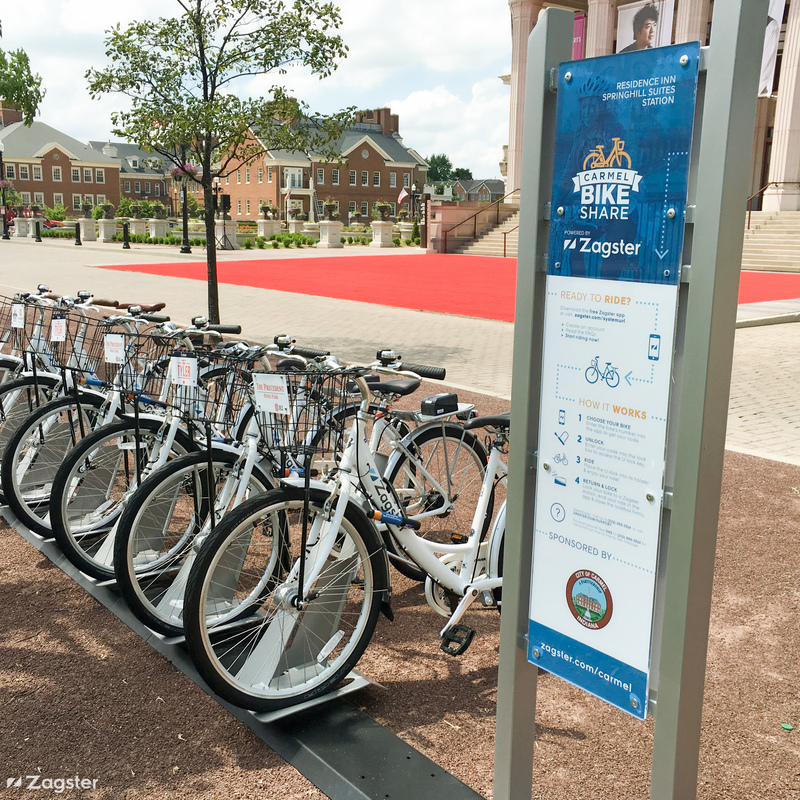 Mortensen said he researched a number of bike-share companies, eventually pinpointing “smart bike” company Zagster as an ideal fit for St. George in terms of cost, ease of access and functionality. 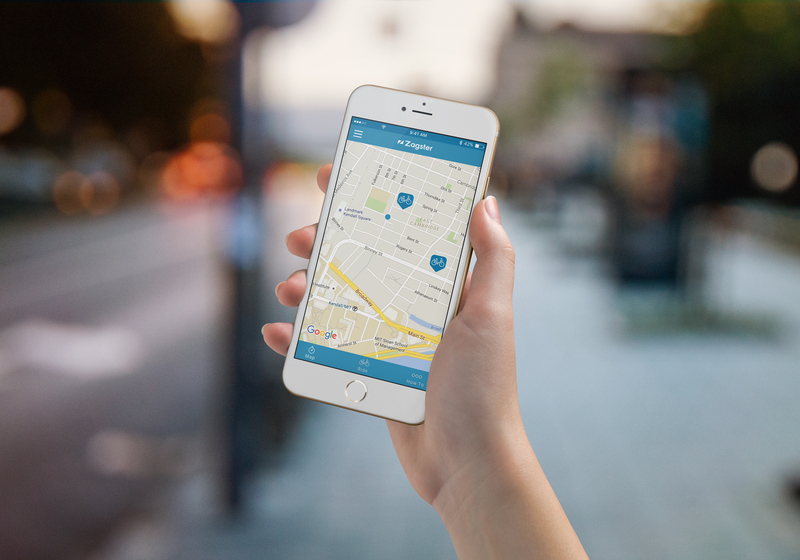 Zagster works through a smartphone app that locates the user by GPS and lists nearby bike stations. The entire rental process works through the lightweight, easy-to-use app. Bikes weigh around 40 pounds and are equipped with eight gears, bells, adjustable seats, baskets and lights for nighttime riding. “Anyone should be able to get on this bike and ride it,” Mortensen said. A bike can also be locked up at any stops between stations with a pre-installed lock attached to the bike. Fee structures are established by the owner of the bike-share operator, and payments can be designed to be by the hour or through monthly or yearly memberships. Promotions offering free rides may also be offered to help bring attention to the system. At 50 bikes across 10 stations, the program would cost approximately $90,000 per year, substantially cheaper than similar programs in other cities, Mortensen said, such as one in Salt Lake City running in the millions. Regular bicycle maintenance is included in the cost and is managed by Zagster through recruiting local bike shops to conduct repairs and biweekly checks on the stations. Most of the cost would be made up through sponsorships with each $9,000-per-year station paid for by private or public entities. So far, Intermountain Healthcare, Dixie State University and the Washington County Tourism Office have each indicated interest in sponsoring two stations a piece. “They would love to sponsor a bike-share program because it fits their mission of health,” Mortensen said of Intermountain Healthcare, the owner and operator of Dixie Regional Medical Center. Dixie State University also expressed enthusiasm, Mortensen said, explaining that the school previously tried to run its own bike-share program that proved prohibitively expensive. Other potential partnerships may include restaurants, hotels, car dealerships and advocacy groups. Station signs and bikes may be painted with sponsor logos. “The hope is that your sponsors will see the value in this, if nothing else, an advertising expense but – maybe if there is something else – wellness and activity,” St. George Mayor Jon Pike said. Pike also suggested that the city contribute as a sponsor of one station but added that the idea shouldn’t be considered for approval until sponsorship is locked in through written agreements for the remaining stations. When I was in Kanab I saw an honor system of bike use between hotels. I think the proposed news piece is a good idea to promote less of a carbon foot print and good exercise. it’s a cute idea, but they spend our tax money like it’s a hot potato. Leave it to 100% pvt funding. These so called conservatives and Republicans sure love spending the citizen money on useless garbage that benefits their crony business interests. It would be interesting to find out WHO is behind the app , the bikes, the service, etc… If the need exists why don’t you leave it to the private sector to address it and simply provide some guidance or simple and conservative tax incentives on potential stations? They tax and spend harder than any “liberal city” I’ve lived in. The hypocrisy still amazes me. Anyone with their eyes open noticed the condition of so many streets in this town? Of course there’s no money for that. Carousels, mini-theme parks, too much unneeded BS to even name and yet they can’t fix up the roads. This is why I love mormon-republicans. Hypocrites to the core. No tax dollars Mr Mayor. like saint george is more interested in catering to outsiders than representing the local tax payers. “You’ve got the younger sect that, really, they don’t want to drive … and they’d much rather bike somewhere,” Oh really??!? Can you please cite your research on this and would this be the same demographic that is our tourists? “You’ve got the younger sect that, really, they don’t want to drive … and they’d much rather bike somewhere…” I agree with Asianspa on that statement is BS. If the “younger sect” want to ride bikes, they would OWN THEM! Bikes are relatively cheap and people devoted to bicycle commuting sure don’t want a 40 lb tank. Most days are too hot, anyway. This idea works in urban areas where they can be used like a taxi, not wanna-be-urban areas like St. George. Try as you might, St. George will never be cool and hip. You were founded by a bunch of Mormon pioneers for pete’s sake. Embrace what you are. The myopia on this comment board never ceases to amaze me. It’s ok to disagree with an idea, but the fact that you don’t agree does not automatically make it stupid. I’ve used bike share programs in many cities and they are absolutely brilliant. I would like to see the downtown roads a bit more bike friendly as most riders may not be skilled or knowledgeable about the area.